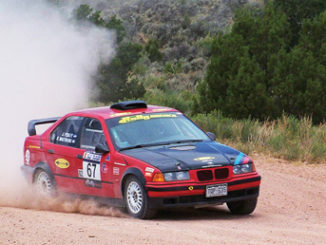 RANGELY | Following the success of the 2017 rally race headquartered in Rangely the Rally Colorado group is returning for a second year of racing July 20 and 21. 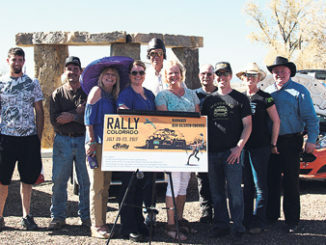 Friday’s race will be “Prospector’s Run” and the “Blazin’ Saddles” Rally is on Saturday. A major highlight of the event is the night parade which precedes the race. The illuminated roadsters will take to Main Street at 7 p.m. on Thursday, July 19. Locals are encouraged to come check out the cars and drivers. During the races spectators are asked to use caution near the tracks. Cars are anticipated to arrive in one minute intervals, but can sometimes be as much as five to 10 minutes apart. A variety of spectator spots are available including on Calamity Ridge and off Dragon Road (County Rd. 23). Location descriptions and maps along with approximate schedules can be found at http://rally-america.com/VenueFiles/2018-SpecGuide-RallyColorado.pdf. 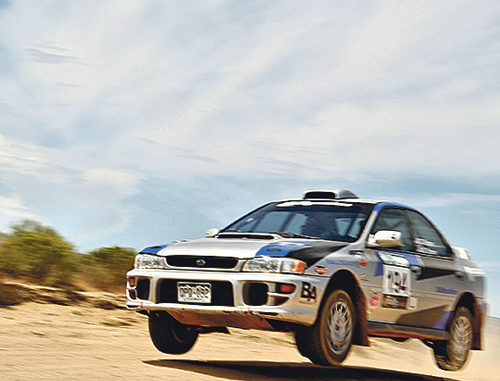 Rally racing involves improved road legal cars taking on typically unpaved courses which often incorporate steep climbs and switchbacks. 2017 saw 35 rally racers come try out the roads in the area and race coordinators are anticipating even more participants this year.